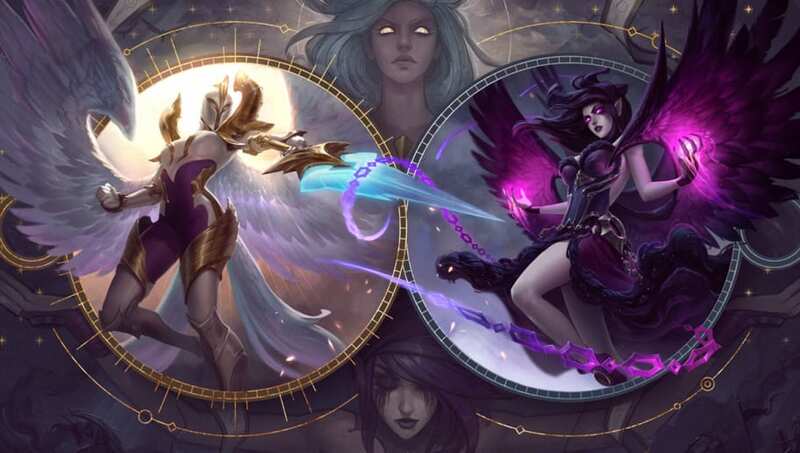 Kayle and Morgana nerfs are on the horizon and will likely enter League of Legends Patch 9.6, according to a dev corner post Wednesday by Riot Games' Andrei "Meddler" van Roon. From Riot Games' perspective, both Kayle and Morgana are looking to be on the powerful side following ​their reworks. Kayle will receive nerfs to her base stats and feel improvements for her Celestial Blessing (W) and Starfire Spellblade (E). Morgana's nerfs mostly target her Tormented Shadow (W) to reduce her effectiveness in the mid lane. ​League of Legends Creep score bounties will receive a trio of changes. They will start to diminish if the opposing team closes the CS gap, will build more slowly in general, and will be contributed to by support item gold. Clash tests in Latin America North and Latin America South ran into problems over the weekend. As a result, Riot Games will delay the European tests scheduled for the upcoming weekend while it resolves the problems discovered during the Latin American tests.